Mark Twain Hotel. 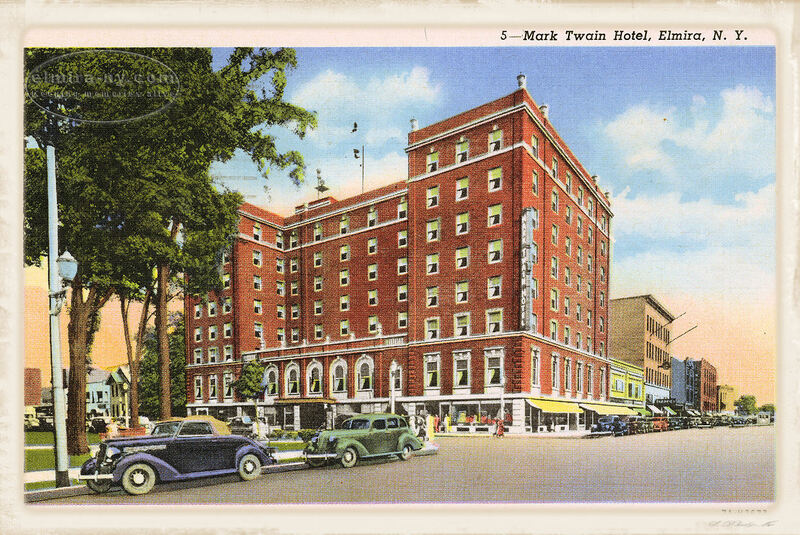 Elmira's largest hotel, the Mark Twain opened in 1929, with a six-story addition being built in 1939. The hotel offered excellent accommodations and sumptuous meals for nearly half a century . A number of groups and organizations held conventions at the hotel, and area high schools held their proms there. Long the center piece of downtown Elmira. The "+" symbol displays the features bar, the "-" symbol minimizes it.